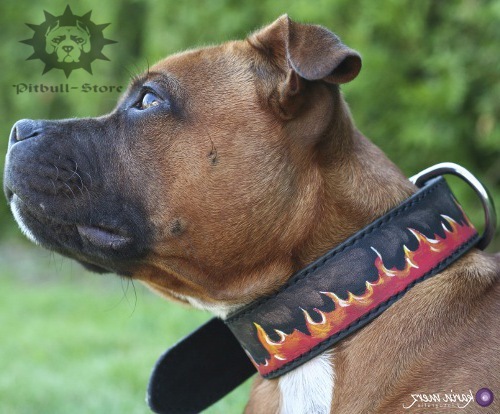 A good collar fits Staffy character and temper. 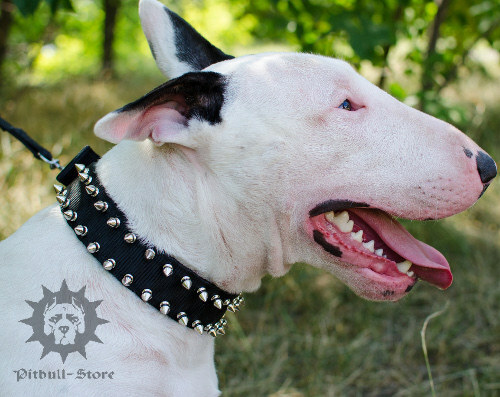 The “Fowl Hunter” dog type in the collar made of genuine leather is a bad combination, because leather is non-resistant to humidity. 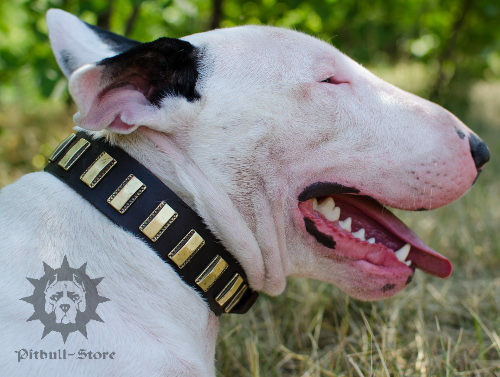 But durable leather collar is up to "Sofa Baron". 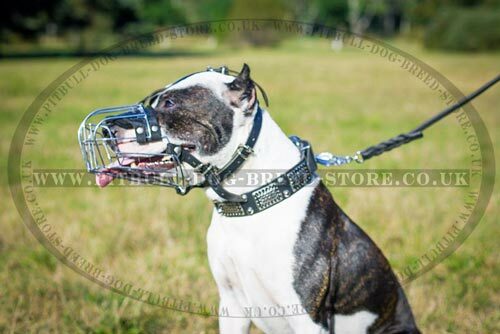 Your Staffy with such collar on would set off to unreal Norwegian Hammerfall without leaving a trace. 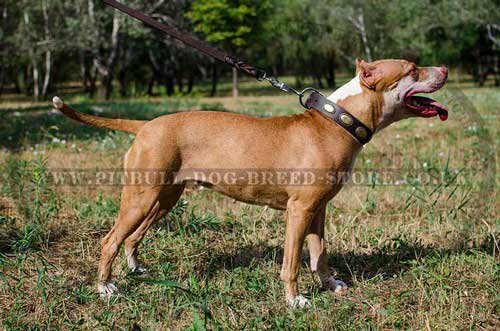 Colour of the coat is also important. 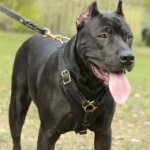 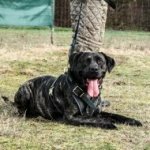 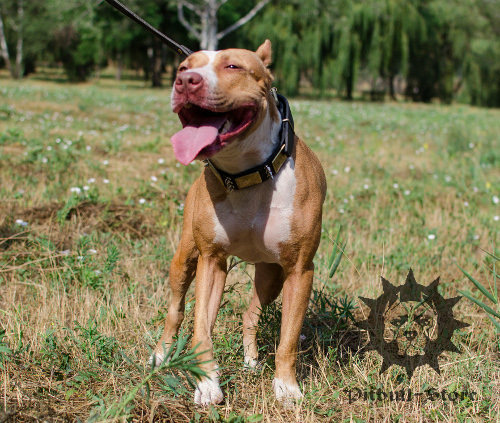 You can put a black collar on Staffy with black hair, however, a brown or even red colour would look more magnificent because of the contrast. 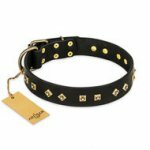 In the end, stuff in your purse also affects on a choice of the right collar. 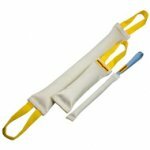 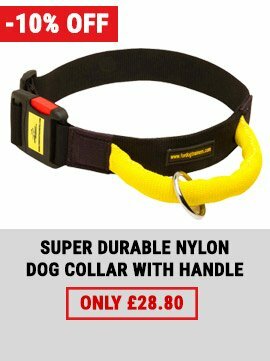 Nylon collars are the most inexpensive, reliable alternative for the beginning. 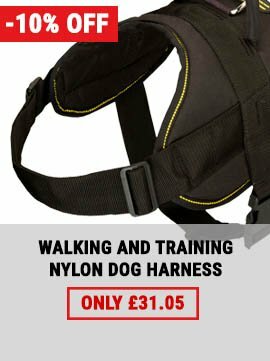 They are wind and rain resistant and do not require complex care. 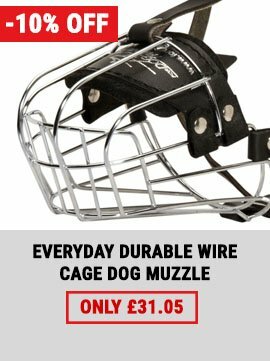 But they do not show increased durability: after 2-3 years of intensive use they look as if you crossed the Gobi Desert three times, they are faded and frayed. 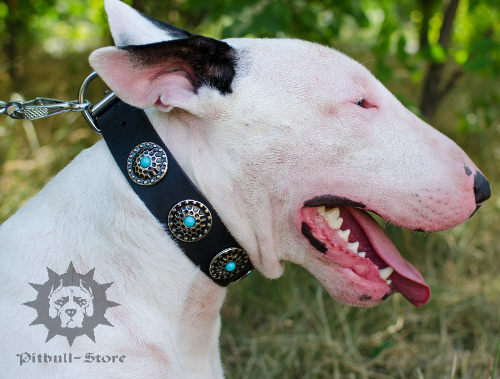 There is absolute difference with leather collars: initially susceptible, but with proper care, retain their appearance and structure, and may even be inherited. 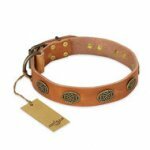 It is important, do not dry wet collars of leather on the pipes or heaters, because a leather collar becomes fragile and brittle. 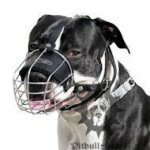 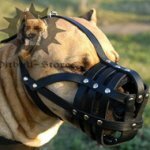 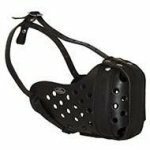 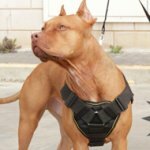 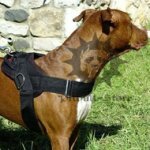 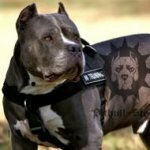 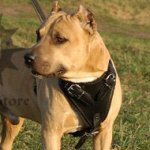 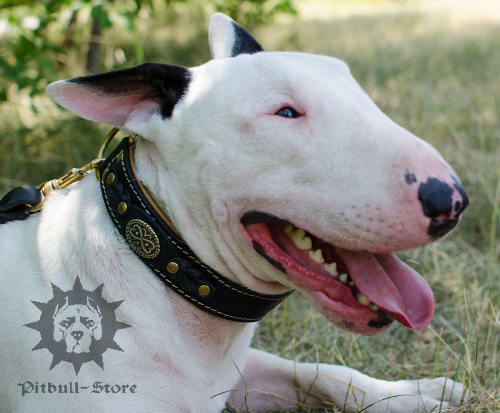 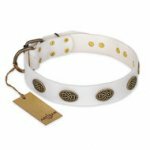 Look at our TOP 10 BEST COLLARS for Staffordshire Bull Terrier, Pitbull, Amstaff and Bull Terrier. 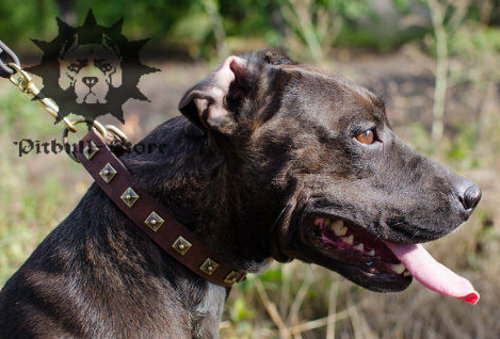 All pictures are clickable.